As the dark nights draw in, the Knaresborough Players present their new production of Mary Shelley’s classic novel Frankenstein, adapted for the stage by Tim Kelly. On his wedding night, brilliant scientist Victor Frankenstein regales his new bride with the horrific tale of his creation of a monster. In flashback, we see the rising tensions build to a dramatic climax where creator and creature meet in a final confrontation. 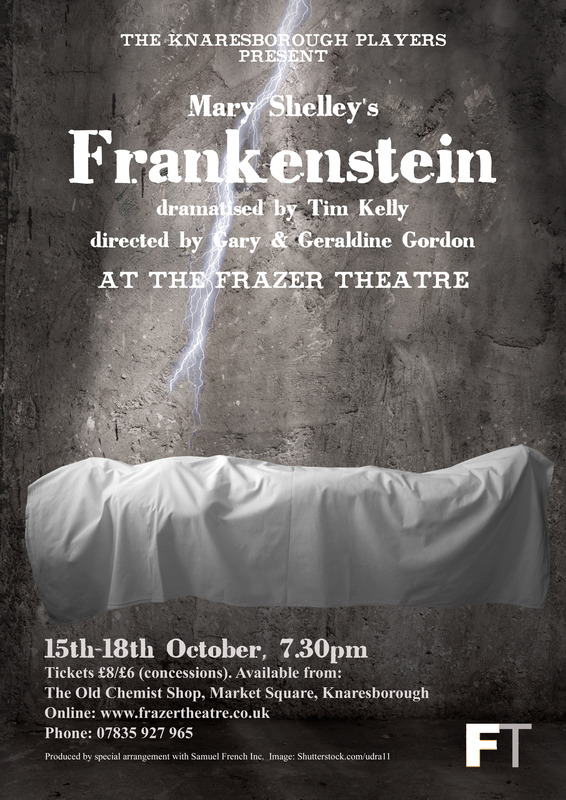 Directed by mother / son partnership of Geraldine and Gareth Gordon, Frankenstein will be performed at the Frazer Theatre from Wednesday 15th until Saturday 18th October at 7.30pm.Tickets, priced at £8 (£6 concessions) are available now from The Old Chemist Shop, MarketPlace, Knaresborough. Tickets are also available online at: www.frazertheatre.co.uk or by phone on: 07835 927 965.